Communicating with deaf people is quite hard if you don't understand their sign language. Imagine if there are sensors that can interpret the gestures in sign language and translate them into English, it will provide a high tech solution that will greatly help this problem.The research team from Texas A&M University are making it possible. 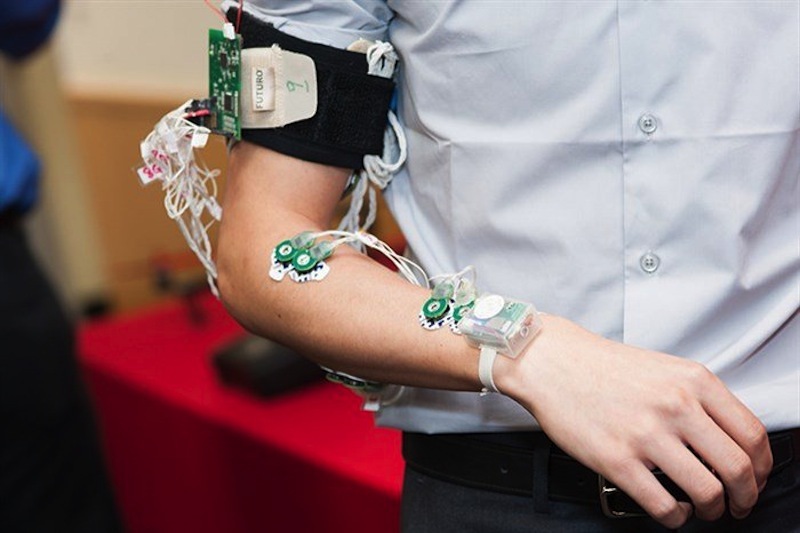 They are now developing a wearable device that can sense muscle activity and movement in a person's arms.The device works by using two sensors that will figure out the gestures that a person is making: one that responds to the motion of the wrist and the other to the muscular movements in the arm. A program will receive the information and converts the data into its English translation.Want to know more about this awesome device? Follow this Link!